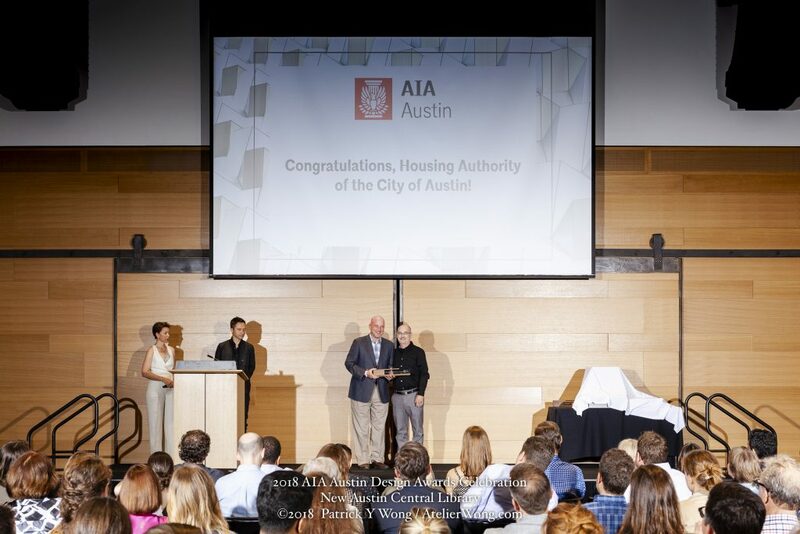 HACA is honored to announce we recently received the Community Vision Award from the Austin Chapter of the American Institute of Architects (AIA) during the organization's 2018 AIA Austin Design Awards Celebration at the New Central Library in Downtown Austin. The AIA's Community Vision Award was first awarded to Austin Foundation Communities in 2011, and has since been bestowed on other influential community organizations including Habitat for Humanity and Mobile Loaves and Fishes. The award serves to recognize an individual or organization which has been instrumental in moving forward an affordable housing initiative in the Greater Austin area.